What’s summer without a collection of your favorite summer dresses hanging in your closet? In the fashion dictionary, a summer dress has no true definition. A summer dress can be pretty much anything you want. Long or short with patterns and texture like denim, lace, crochet, floral, gingham, geometric, and the list goes on. Anyone can find their perfect summer dress. A dress so light, so easy to style, but yet captures your true personality. I know two fabulous bloggers who really know how to rock summer dresses. 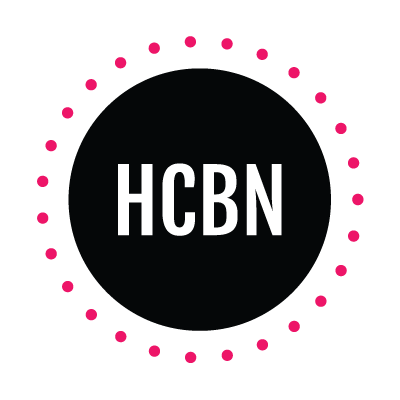 I am so excited to be part of Michelle (Michelle’s Pa(i)ge) and Ana’s (Northwest Blonde) weekly link up post. Our last link up together was our post all about boho styles. To refresh your memory click here and don’t forget to check out Michelle and Ana’s blog for more style inspiration. Keep reading to see one of my many summer dresses that has been on repeat. So the star of this look is of course my summer dress. 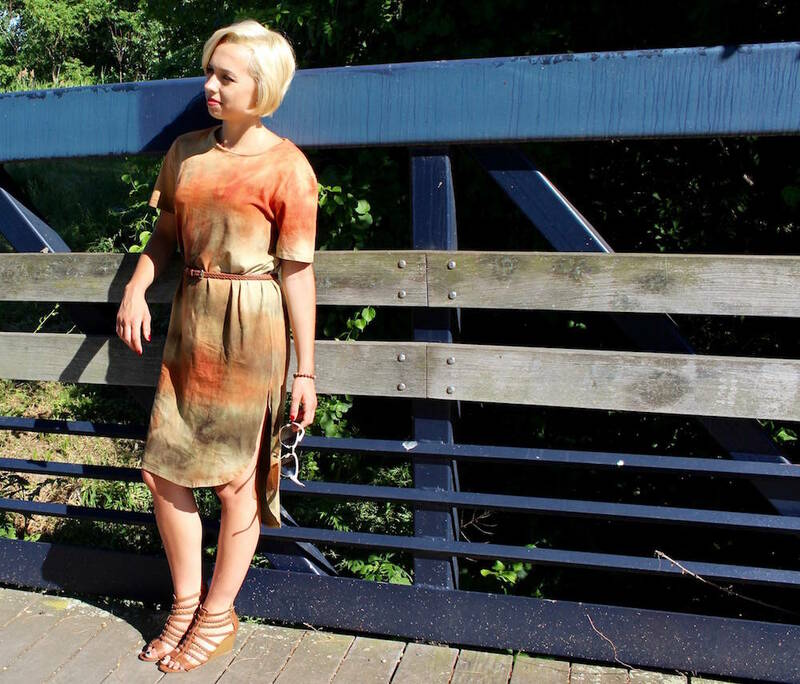 I am obsessed with my new tie-dye dress from Zara. I love the warm colors, resembling a desert scene. And now with my blonde hair this has become my go-to color palette. I believe shirt dresses are meant to be belted to highlight your waist and give the dress more shape. You can’t go wrong with a simple, skinny, brown braided belt from H&M. In my opinion, even if you don’t think you need a belt in your wardrobe, everyone should have a brown and black belt for those fashion moments when you are looking for something to complete your outfit. Although this outfit is far from dull, I thought I needed to add something more to this look. As I was going through my closet, I dug up this fringe scarf I bought at a local boutique. It is one of those pieces I just had to buy in the moment, but sadly rarely wear it. So I thought today was perfect to experiment with this fringe scarf and put it to good use. For shoes, I am breaking in my new strappy, wedges from Charlotte Russe. Although uncomfortable the first time I wore them, I know I will be pairing these detailed wedges with many of my favorite summer looks. No outfit is complete without an elephant so I am wearing my new Hollis Hayes bracelet. 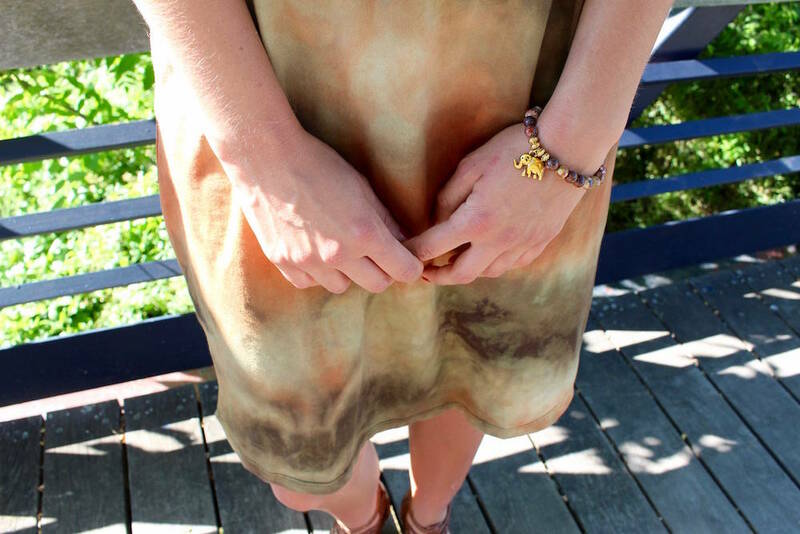 The coloring of the beads and charm perfectly matches my dress. Check out more of their fabulous bracelets here. Lastly, what’s a summer look without your favorite pair of sunglasses? So I am wearing my pink framed glasses from The Loft. 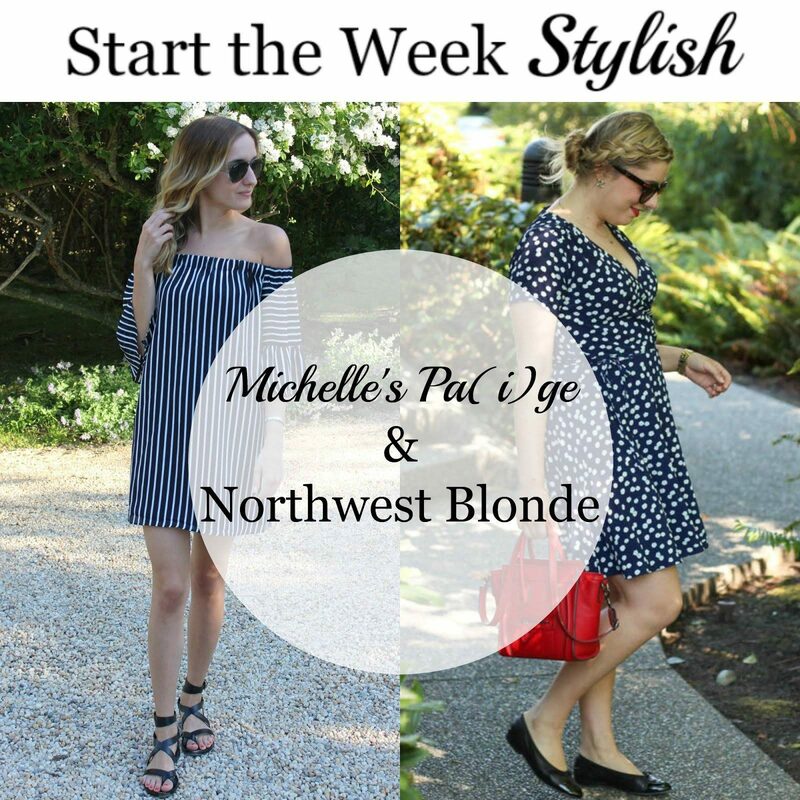 So that concludes another summer style post and weekly link up post with Michelle and Ana. To be honest, I can’t think of a good way to end this post without it sounding awkward, so I will just leave you with this. Go ahead, go shopping for your perfect summer dress and don’t be afraid to put your favorite dress on repeat because that is what summer is all about. You look lovely in your dress! I love the detailing on it! Lovely dress! The fringed scarf was made to go with it! You look amazing! What a pretty fringe dress! Love the color. 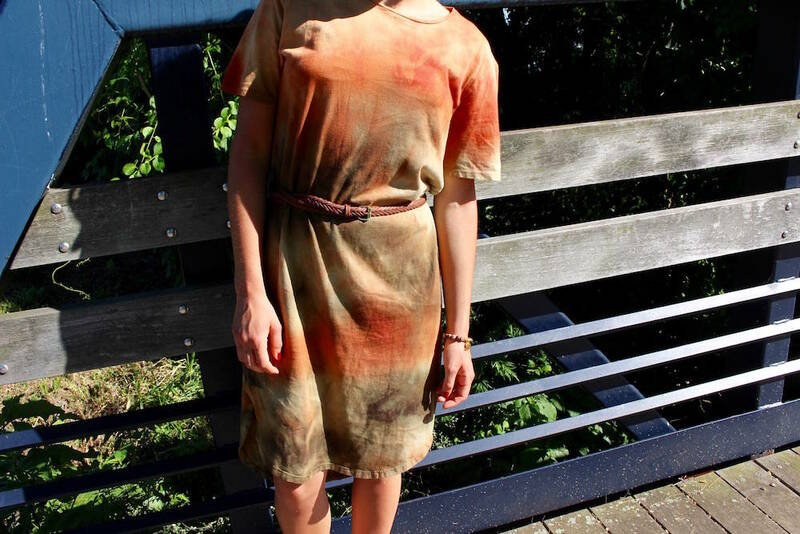 Love this tie-dye shirt dress. And those are the perfect sandals for this look! That dress is gorgeous! So pretty! And I adore the bridge location too! it looks great on you! I love the tye dye colors! You always know how to wow, love your dress and shoes! such a cute summer look & adorable photos!Lovely dress! The fringed scarf was made to go with it!